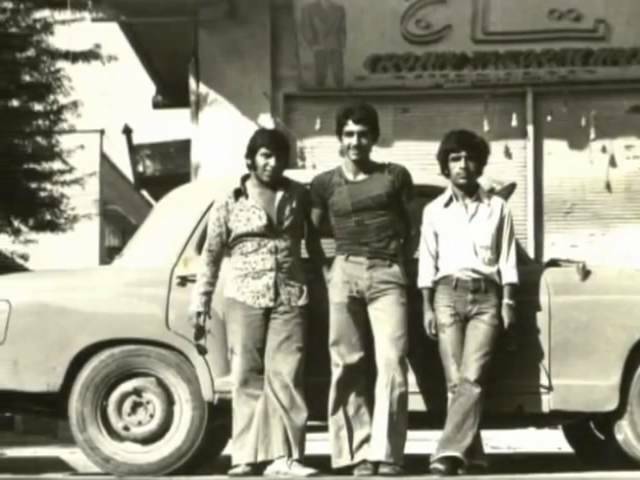 This article is the first installment in a three-part series on oil, nostalgia, and the southwestern Iranian city of Abadan. Part two can be found here. Part three can be found here. The series is authored by Rasmus Christian Elling, an assistant professor at the University of Copenhagen where he teaches the sociology and modern history of Iran as well as urban theory. He has recently published a book on minorities, ethnicity and nationalism in Iran after Khomeini, and is now working on the history of Abadan. This series was originally published in Danish. You can support Elling’s Internet campaign to fund more research and publications on Abadan here. What if oil is magic? Mapping future oil fields on Bakhtiyari lands in Khuzestan, sometime in the 1910s. Camel caravan on the pontoon bridge on Bahmanshir River leading to Abadan, 1910s or 20s. Exporting petroleum products from Iran to Iraq, circa 1910s. It is hard to imagine that just over a hundred years ago, the little island of Abadan only contained villages of Arabic-speaking tribes living in mud huts, growing date palms, fishing and trading with the neighboring towns. Even though oil literally seeped up through the ground and into homes across the province, no-one probably guessed its impending global significance. The unnoticed presence of oil would be, in a very short time, starkly contrasted with its manifestation at the epicenter of development and conflict in the whole . Arabs in Khuzestan, perhaps from 1951. This is from the opening pages of Anglo va Bangolo dar Âbâdân (Anglo and Bungalow in Abadan, 2010) the first book by Iraj Valizadeh, born in 1938, who has worked in radio, theatre and in the refinery. It is one of several books written over the last three decades by Abadan enthusiasts, amateur historians and local luminaries. Aerial views of Abadan, probably late 1920s or 1930s. Iranian pop diva Googoosh is singing. A local jazz band playing. Different looks for different eras. During the war with Iraq, Abadanis were scattered to the four winds. There are Abadanis living across Iran and all over the world, and yet they tend to coalesce in Abadani circles wherever they are – including on social media. On Facebook, groups like ‘Children of the Oil Industry’ share pictures and stories sent in by Abadanis from near and far. Offline, Abadanis gather in clubs and networks, be it in Los Angeles, London or Tehran. There is also a society for former Company employees in the West, The Abadan Society. In its newsletter, members share memories, jokes and pictures. Elling, Rasmus Christian. 2014. ‘Oliebyen midt i en jazztid: Nostalgi, magi og det moderne i Abadan’, Tidsskriftet Kulturstudier, 2/24. Download here. Note from the Author: This essay is intended for a broad audience and does not follow academic rules for quotes and citations. Anyone interested in the original article can refer to: Rasmus Christian Elling: ‘Oliebyen midt i en jazztid: Nostalgi, magi og det moderne i Abadan’ in Tidsskriftet Kulturstudier, 2/24, available for free download here: tidsskriftetkulturstudier.dk/kulturstudier/wp-content/uploads/webfil_rasmus-24-47_kulturstudier_2014-02.pdf. I would like to thank Tidsskriftet Kulturstudier for letting me convert the article to the present essay. My research on Abadan started as part of the Anglo-German research project Urban Violence in the Middle East and is based on years of research in British Petroleum Company Archives, the British National Archives, the Iranian National Archives, as well as on interviews and many other primary materials. I am greatly inspired by the works of Kaveh Ehsani and Nelida Fuccaro. At the end of the third part of the essay, I attach suggested readings for those who want to know more about Abadan or about urbanism based on natural resource extraction. Finally, I would like to thank all the Abadanis, in Abadan and across the world, who have treated me as a special guest and sometimes even as a fellow citizen — despite the fact that I used to have no other affiliation to the city than my curiosity. A wonderful thing about any city is that it contains such a wealth of personal stories and conflicting histories. I know I cannot do them all justice. Any short text about a huge topic is bound to generalize, and this essay is no exception. If you want to tell me your story of Abadan, please contact me: elling@hum.ku.dk. Thank you for sharing your knowledge with us in such a tasteful and well-written way. Both of my parents are from Abadan, however, unfortunately I have never been to this grand city. Whenever you meet an Abadani (A person from Abadan) they cannot stop talking about Abadan pre-revolution of how great it was. Your piece of writing is amazing in helping me and others like understand, where all of this pride came from.